We fallow the story of four girls, Galleria, the unofficial leader of the group, Doringa, Chanel and the new member Aqua. All come from different lifestyles and economic backgrounds. 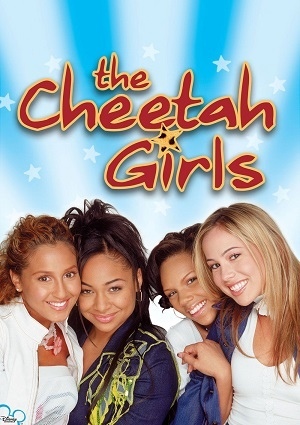 Their attending a Manhattan High School specialize in fashion design, there they decide to join a talent show using the name “The Cheetah Girls”, the girls preform great and this causes one of their teachers to present the girl to a famous producer who offers them a chance to become famous. But as soon as they start, things don’t go well for the girls and their friendship starts to fall apart.